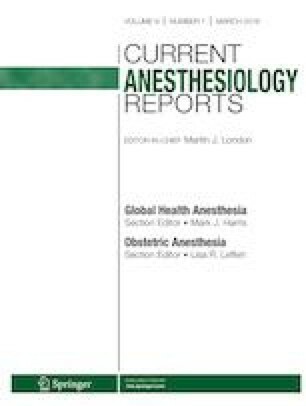 There are few publications regarding practical important philosophical considerations to international anesthesia work. Most of the literature in this realm is aimed at trainees or are logistical recommendations. Clarity of mission can provide guidance and benchmarks for managing challenging situations that may unduly influence the overall experience of a global health trip. Much of that clarity can come from authentic exchanges with your colleagues from the under-resourced region in question. We intend to provide a framework and some core principles for organizing thoughts and interactions before, during, and after your first global anesthesia experience. Mark J. Harris declares that he has no conflict of interest. Scott R. Junkins has received compensation from the CMR Institute for assisting in curriculum development. World Health Organization (WHO). Medical device donations: considerations for solicitation and provision. 2011. http://apps.who.int/iris/bitstream/handle/10665/44568/9789241501408_eng.pdf. Accessed 15 Jan 2019. World Health Organization (WHO). Guidelines for medicine donations. 3rd ed. 2011. http://whqlibdoc.who.int/publications/2011/9789241501989_eng.pdf. Accessed 15 Jan 2019.